It’s like she actually achieved looking worse than before. Even her teeth are different??? What’s that all about? 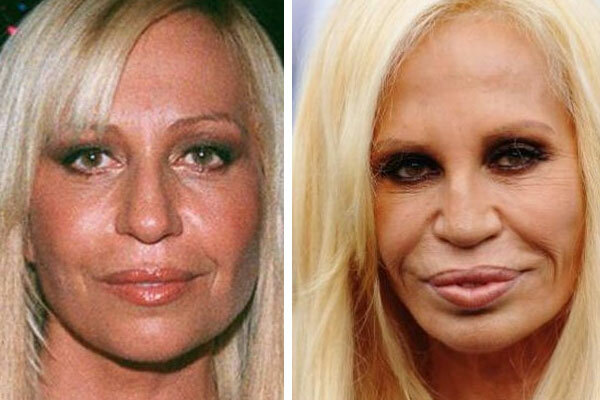 She does look very wrinkly and pulled in the after picture .. and this is apparently after surgery. It doesn’t make sense. Her nose actually looks like she’s been punched .. I can’t believe with all her money and connections, this couldn’t be fixed. And there was no need to do anything with her mouth. Bad eye makeup too, way too harsh, aging. I just don’t get it. 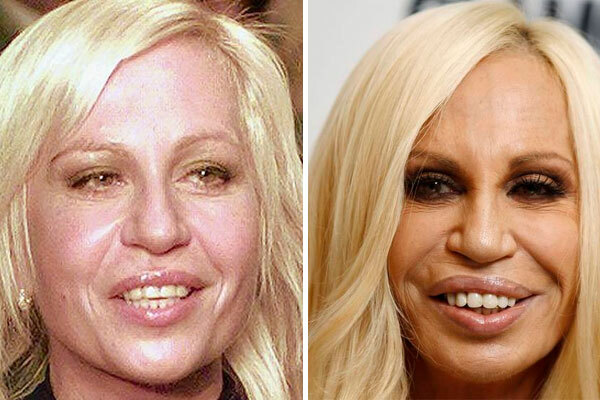 Now she looks inhumane…like a monkey with too much makeup and a wig…she went from being flat out unattractive to being insanely hideous! With all that money…if I were her I would consider melting my face off and having them start again…because there’s no way I could wake up every morning looking like that! well the hairbleach is better now. but her face and teeth! something must have gone wrong. no plastic surgeon will put their name on such a bad job.